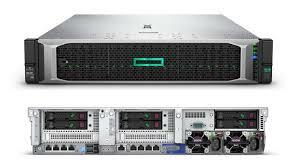 hand to and we exclusively bring you the first hands-on review of HPE’s new Gen10 flagship. 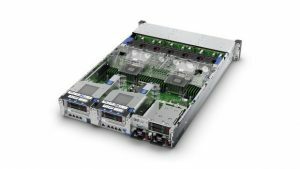 There’s plenty to get excited about as along with support for Intel’s Xeon Scalable CPU family, the DL380 Gen10 receives a complete refresh in the storage department with a new modular design. HPE’s Smart Array RAID controllers have also been uprated to offer more storage and interface choices. 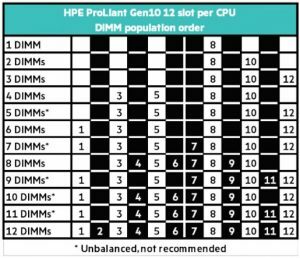 The server supports 3TB of DDR4 SmartMemory and can handle up to 192GB of HPE’s Persistent Memory NVDIMMs. These target high-demand apps such as analytics or databases and provide 8GB of high-performance DRAM, backed up by 8GB of flash mounted on a standard form factor DIMM module. 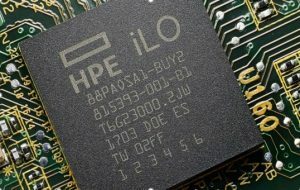 And then there’s HPE’s new iLO 5 management controller. It offers a heap of new features as along with improved server monitoring, it has a laser-sharp focus on platform security with silicon fingerprinting, encryption and breach detection technology. For our review we selected the Performance model 826556-B21 which sports a pair of 12-core 2.3GHz Intel Xeon Gold 5118 CPUs teamed up with 64GB of DDR4. A quick glance at the front shows HPE has retained the 8+8+8 drive bay configuration layout, allowing up to 24 SFF drives to be presented. You can fit HPE’s universal media unit in the left bay, which provides dual USB3, a DisplayPort plus optical drive and room for two SFF drives beneath. There’s more going on at the back: three dual SFF hot-swap cages can be added, taking the tally to thirty drives. 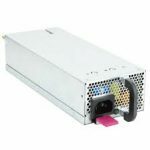 The SFF chassis also supports up to 20 NVMe drives. 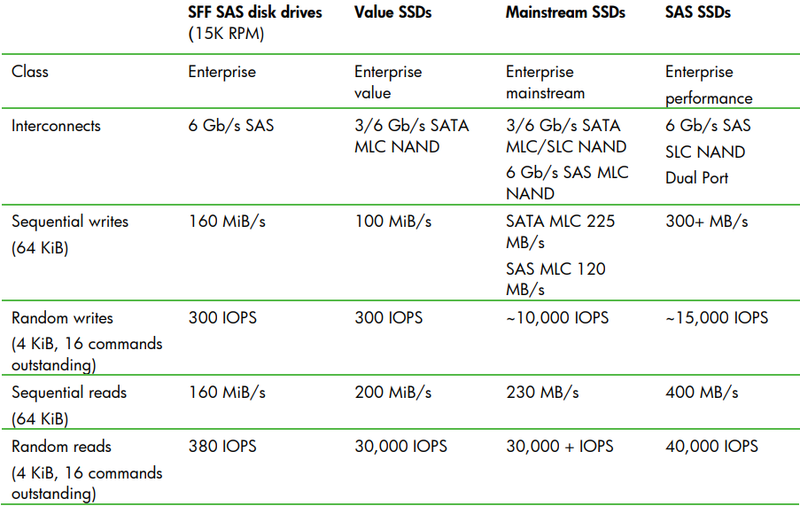 If capacity is a key requirement, it’ll take twelve LFF drives at the front. Three at the back and even four in the middle with HPE’s custom mid-plane kit. All models start with HPE’s embedded Smart Array S100i chip, which supports RAID 0, 1, 5, and 10 for up to 14 SATA drives. mware and if the test fails, automatically flashes it with the resident recovery image. stem ROM validation and if this fails, it’ll activate the redundant system ROM. Should both ROMs fail validation? The Advanced Premium Security Edition license can run a firmware scan and a repair process will also run daily system firmware validations. 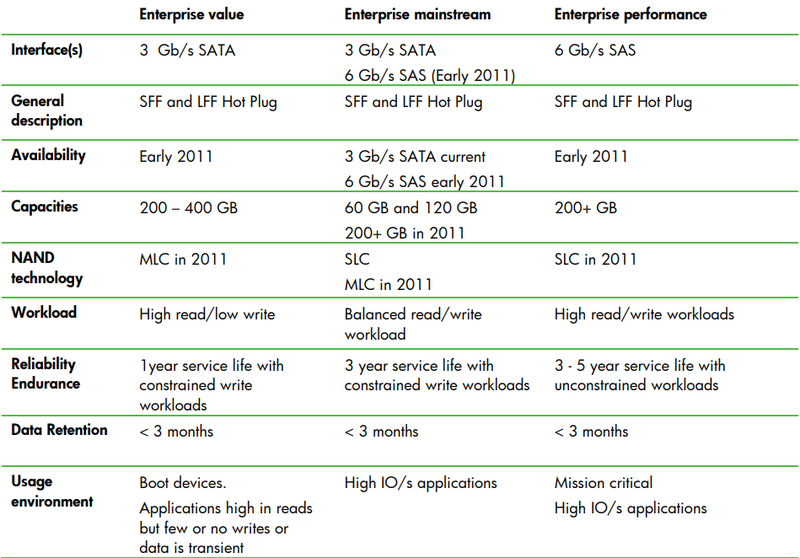 The iLO 5 is twice as fast as iLO 4 with double the memory. We found its Intelligent Provisioning OS deployment tools and virtual media services much quicker and more responsive. The iLO 5 web interface gets a major revamp making it even more informative and HPE has switched entirely to its agentless management service (AMS), negating the need to load any OS agents. Existing users of HPE’s OneView must upgrade to v3.1 to support Gen10 hardware. Which requires patience as we found this takes around two hours. With this applied, we added the server’s iLO 5 credentials to the lab’s OneView Hyper-V VM and kept an eye on CPU and power usage plus temperatures. We ran remote control sessions and powered the server up and down. There’s growing room, our model includes 3-slot PCI-Express riser cards with space for 2-slot tertiary riser over the PSU bay. The HPE’s tool free design has two main risers are easily removed with just a flick of the wrist. All models come with quad embedded Gigabit ports and you can upgrade with a choice selection of FlexibleLOM mezzanine cards. The server supports one card which fits in a dedicated slot at the rear of the motherboard. HPE offers dual and quad-port fibre or copper 10GbE plus a dual-port 10/25/40GbE card. Some of the rules regarding memory population have changed and we experienced it first hand. DIMMs is Installed only if the agreeing processor is installed. If only one processor is installed in a two-processor system, only half of the DIMM slots are available. To maximize performance, it is recommended to balance the total memory capacity between all installed processors. When two processors are installed, balance the DIMMs across the two processors. White DIMM slots denote the first slot to be populated in a channel. Mixing of DIMM types (UDIMM, RDIMM, and LRDIMM) is not supported. The maximum memory speed is a function of the memory type, memory configuration, and processor model. The maximum memory capacity is a function of the number of DIMM slots on the platform, the largest DIMM capacity qualified on the platform, the number and model of installed processors qualified on the platform. HPE’s DL380 just keeps getting better with every generation and the latest Gen10 delivers new and welcome features in abundance. This highly expandable 2U rack server offers a wealth of storage choices. The new iLO 5 controller provides top-notch remote management and platform security. Enterprises and SMBs looking for a powerful and secure 2U rack server that can grow with them. They will find the ProLiant DL380 Gen10 an ideal partner. With Ransomware, Bitcoin and strategies on how to protect ourselves becoming a daily topic around the watercooler; how safe are we? Antivirus, antimalware, in-cloud inspection are only as good as the patterns they are aware of. We protect our local data and critical systems by making backups of backups just to be able to recover from a ransomware attack and not pay the ransom. Then there is the cloud; Email, documents, databases and how safe are they? For the small to medium size business the term cloud gives end users and management a false sense of security that things are “OK”, providing the sense that we are immune to the vulnerabilities of local data. I hate to be a bearer of bad news but there is hope – just keep on reading. 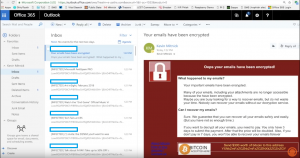 Lately ethical hackers have developed and tested, a ‘ransom cloud’ strain that specifically targets Office 365 email users (cloud). The most common ransomware delivery tactics utilize social engineering in giving hackers full access to the email account. Once the targeted user clicks the link in the email, it really is game over. 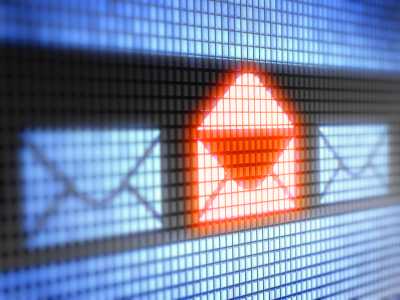 Within minutes the entire mailbox, emails and attachments are encrypted in real time. In addition, the infected mailbox receives a ransom email containing instructions on how to recover the data. As per the graphic below, the encrypted emails are highlighted and the associated recovery instructions are detailed. Scary, isn’t it? If the user does not have a proper backup of the .OST or .PST file there really is no easy way to recover them. Pay and pray is the way. Can this be avoided? Maybe. It is getting harder for users to identify what is real and what is fake among the hundreds of emails they receive daily. We can certainly train our users and expose them to simulated threats and capture statistics, but this is typically not a priority. The best way to protect ones self is to always have a backup of all your emails. Old school, we used to that with .PST files when we had size limits on our mailboxes. New school, there are now solutions that will seamlessly backup your Office 365 emails directly from cloud to cloud, by maintaining potentially infinite number of restore points and providing instant recovery of emails. Can we prevent users from being ‘infected’, not really, but we must never stop trying. There are no tools or software that will stop the ‘click’. What we can do; however, is give users a little more assurance that if things go sideways, there is an easier way to recover and it does not require Bitcoins. Please remember that this attack vector has been kept in the lab, so far; and when it does escape into the wild, we will be a little more cognizant of its existence. Furthermore, it is most likely that OneDrive will be targeted next. Remember, think before you click! If you have any questions regarding cloud email best practices, including how to protect your environment please contact Lanworks, we are always here with customer tested and customer proven solutions. Can you hack a printer? Yes, you can. 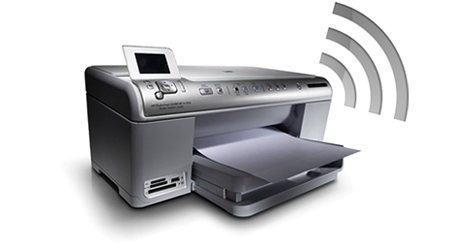 Any printer has input and output communication ports, and operates using software applications, network drivers, and communication protocols. So all of them are, in theory, hackable. How Does Ransomware Get Past Your Locked Doors? 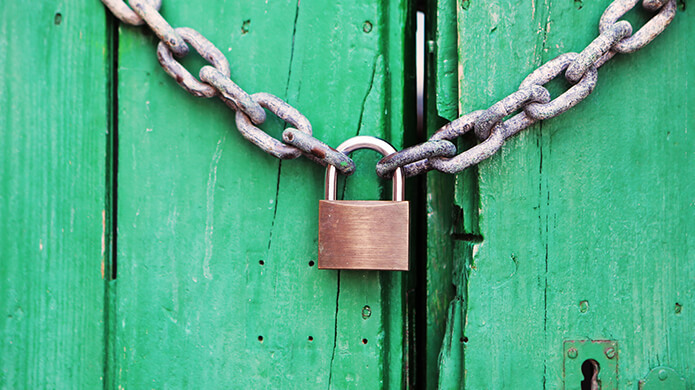 Just as you (hopefully) always keep your doors locked at home, you likely also have your business locked down tightly with a number of security solutions. You have a network firewall with anti-virus and IPS (Intrusion Prevention System) running on it, your servers are secured, and all your endpoints are protected with anti-virus software. Yet John from accounting just opened up an attachment from an email titled “overdue invoice” and infected his desktop with ransomware, not only encrypting all his local data but potentially infecting your entire network. Thankfully you disconnected him before it spread. Still, you’ve invested tens of thousands of dollars in security solutions and yet these ransomware attacks are still managing to get in and hold your user data hostage. What are these new kinds of security threats doing differently that allow them to get past your locked doors and into your house? Moreover, how do you stop them? Today’s normal security software detects “traditional” malware in a variety of ways, one being that known security threats are included in a signature database that is updated when new threats are discovered. Security threats are identified when compared to these signatures. Of course, this doesn’t protect against new unknown threats. To detect these zero-day exploits, standard security software uses heuristics analysis to evaluate if a file contains malware. Even though this technique has been successful in catching many emerging threats, malware is becoming increasingly sophisticated and evasive, and ransomware attacks are the most sophisticated yet. Modern malware can evolve in almost real-time, using server-side “malware factories” to morph the ransomware payload to generate unique hashes that can defeat signature-based and even heuristic security solutions. We’ve long had to deal with phishing emails, those masquerading as legitimate communications that entice you to click on a link that either leads to malware or to provide personal info that can be used for identity theft. However, over the years end users have been educated enough, and the content in those emails stands out enough that in most cases it’s easy to recognize this kind of security threat. Also, current anti-spam security solutions are able to catch and filter out these emails. Another important aspect is that cybercriminals are following email marketing strategies and almost sending out their ransomware messages as campaigns that come in waves. So even if a user deletes one threat, a similarly convincing email with perhaps a different subject, or from a different sender, will arrive the following day. Because the emails look legitimate, it is very hard to for traditional security solutions to detect them. 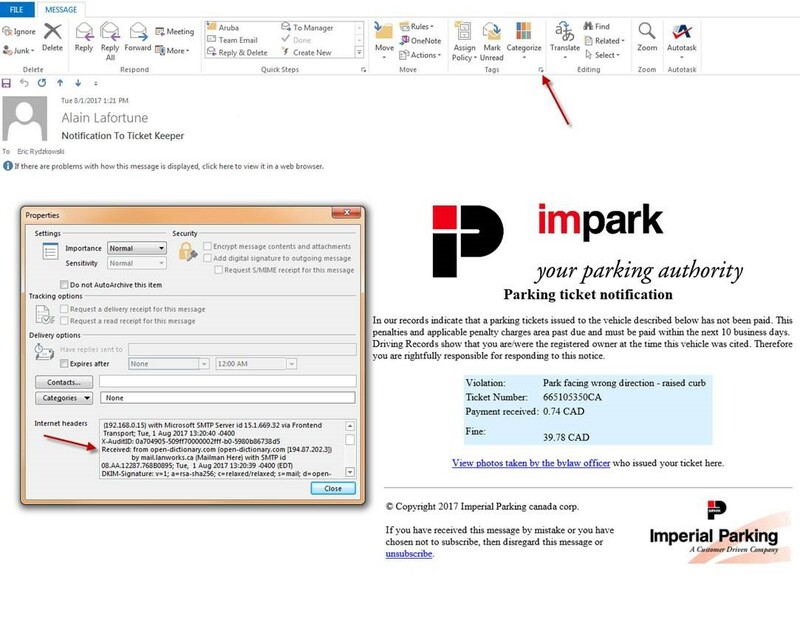 Without investing in some kind of next-generation solution that can combat ransomware, you have to hold delivery of all attachments to your user’s inboxes and analyze them for threats in a sandbox environment before releasing them. Although this point isn’t specifically about how ransomware attacks can get past your security systems, it does point to the fact that cybercriminals have become increasingly professional. Many of them operate in the same way as legitimate IT solutions once your data has been held hostage. An investigation by F-Secure, a cyber-security and privacy company, discovered that the “products” from the leading ransomware groups are very professional applications. For example, the pop-ups asking you to pay up are viewable in multiple languages, and there is an option of a trial decryption of your information to demonstrate that it is still there and accessible once you pay the ransom. In addition, when you reach out to the attackers to pay up, many of them provide great customer service, such as offering discounts and a willingness to extend payment deadlines. Clearly, these are not fly-by-night organizations but criminal enterprises with large amounts of resources behind them to create threats that are constantly evolving to defeat security measures. The threat from their malware should be taken very seriously. We will be following up with another blog that will go into more detail as to how to combat ransomware, but the first step is educating your users to have some common sense as to what email attachments they open. Still, user error will always be an issue, so investing in a security solution that can stop ransomware is crucial. Although some of the big players in the space will likely eventually update their offerings to combat this new threat, for now, your options are fairly limited and are focused on better securing the endpoint. One of the solutions we offer is Bromium Endpoint Protection & Endpoint Security, which we wrote about a few months ago. Bromium complements your existing endpoint security solution and with it, you users can “Click on Anything Without Risk of Breach”. For more info on Bromium and how Lanworks can help you combat the threat of ransomware, reach out to our sales team.